Hi! We are Matija & Marina, Croatia & Dubrovnik wedding photographers and videographers, happy to travel and shoot wherever you may need us! What sets us apart is the time we’ll devote to getting to know you, so we can tell the story of who you really are. We find that each couple is completely unique and the only way to do your photos justice is to tailor our approach to you. How? Well, let’s find that out together! We’ll start by learning more about you, so we can figure out what will work best. This way you’ll get authentic, honest photos of your big day without us ever getting in your way. Of course, all of this is a two way process and you’ll get to know us as well! We’ll experience your wedding by your side and witness it unfold as true insiders. We won’t pretend to be invisible but we won’t boss you around either. Most often we’ll just snap a quick shot, smile and get out of your way. And like all our couples, the moment you see your finished shots you’ll know we beautifully captured your true selves on that special day! When the day finally comes and excitement takes you over, we’ll be your new friends, keep a cool head, support you when you need us and simply blend in when you don’t. Weddings are such emotional events and by the time everything is over, you’ll feel like you’ve known us forever! And in a way, it will be true —- you’ll have known us for your entire married life! So, if our work speaks to you, send us a quick message and let’s get to know each other! 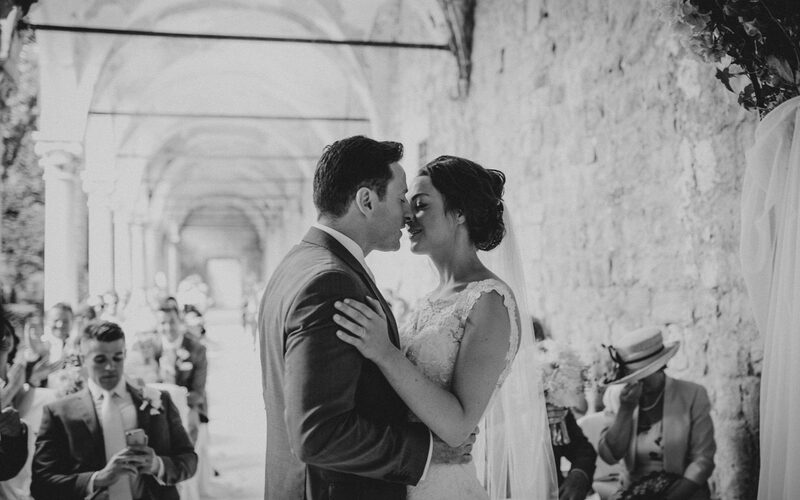 If you’ve had your eye on a Dubrovnik wedding or romantic engagement session, who better to pick than a native Dubrovnik wedding photographers? One half of us, Matija, was born and spent most of his life in Dubrovnik, while the other, Marina, has been by his side for 15 years and counting. So, after years of exploring the city, we truly know all the hidden and beautiful parts of the town that occasional visitors are sure to miss — each rock, stone and tree. 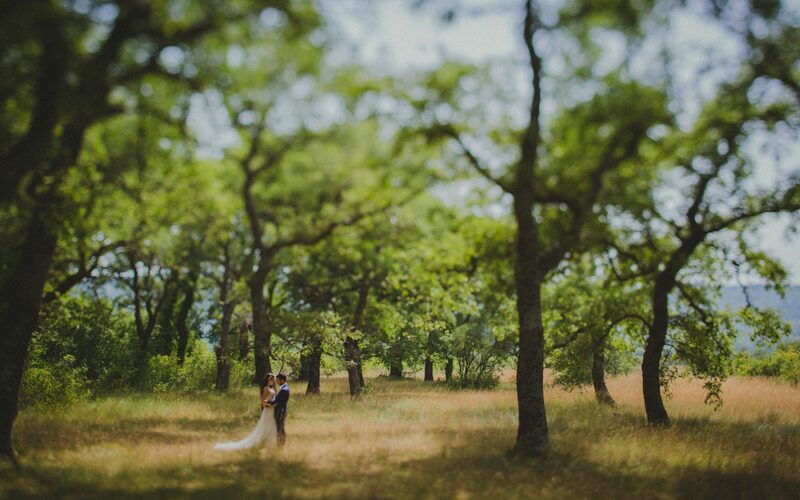 If you’re longing to find a secluded romantic spot under wild orange trees or just a place under ancient stone walls to hide from all the throng, we’ll guide you there and beautifully record it! Whether you want a private and romantic session on paths less trodden, a journey through the heart of the Old Town, a boat ride to your island ceremony venue or a sophisticated wedding in one of the luxury hotels, we’ve been there. Added bonus to being Dubrovnik wedding photographers and videographers is keeping in touch with many local vendors that might come in handy when you arrive to this little piece of paradise. We enjoy every opportunity and look for any excuse to explore our hometown with cameras in our hands, so if you’re looking for a unique and fresh angle on your adventure in Dubrovnik, let’s connect! Feel free to browse through some of our favorite moments ever!